Georgia workers' compensation claims: He can help you obtain workers' compensation income benefits following an accident on the job or due to a work-related disability. He can also help you if you have had your initial claim denied or need strong representation to obtain a full and fair settlement for a permanent disability related to your workplace accident or illness. Personal injury: If you suffered an injury in a motor vehicle accident or because of a property owner's negligence, you are entitled to receive compensation for your financial damages. Georgia family law: Attorney Morgan has more than 20 years of experience litigating on behalf of people filing for divorce in McIntosh County, Glynn County, Camden County and Wayne County courts in coastal Southeastern Georgia. 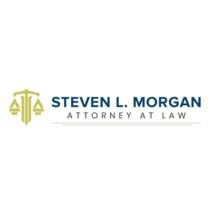 The hallmark of the law firm is a deep commitment to personalized service and accessibility to attorney Morgan. When you call, you will speak directly to Steve. He does not have voicemail; if you call during business hours, you will speak to a real person. Call 912-264-1400 for a free consultation.